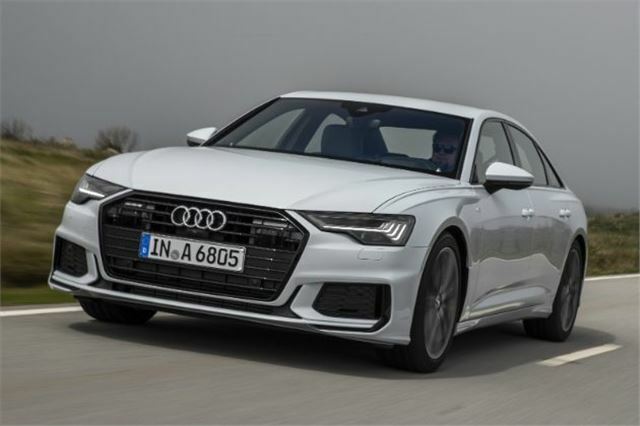 If you’re looking for a car the size of the Mercedes-Benz E-Class and BMW 5 Series, you may have been waiting for some of the tech from last year’s new Audi A8 to trickle down to the A6. 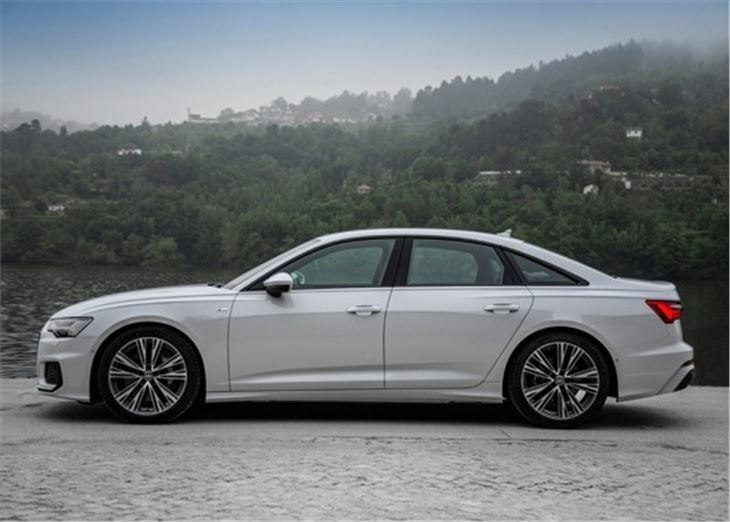 The new A6, revealed at the 2018 Geneva Motor Show and driven now for the first time, is so packed with technology that this entire road test could be filled with explaining the various features on offer. There are no fewer than 39 driver assistance functions - from clever adaptive cruise control which slows down and accelerates using speed limit data from the navigation system, to parking pilot, which lets you stand outside the vehicle while it parks itself. Opt for the Matrix LED headlights and they’ll switch to a wider setting when the GPS informs the car that you’re approaching a junction. 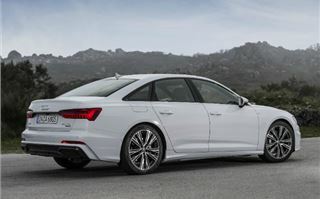 At launch, there will be a choice of two engines: a 3.0-litre petrol V6 (badged the 55 TFSI under Audi’s confusing new naming system) and a 3.0-litre diesel V6 (50 TDI). A new four-cylinder, 2.0-litre diesel (40 TDI) will follow, and is expected to make up the majority of sales in the UK. No surprise, considering its fuel consumption and CO2 benefits over the other engines - although exact figures are yet to be confirmed. If you make the bold move of buying a petrol A6, you’re in for a treat. 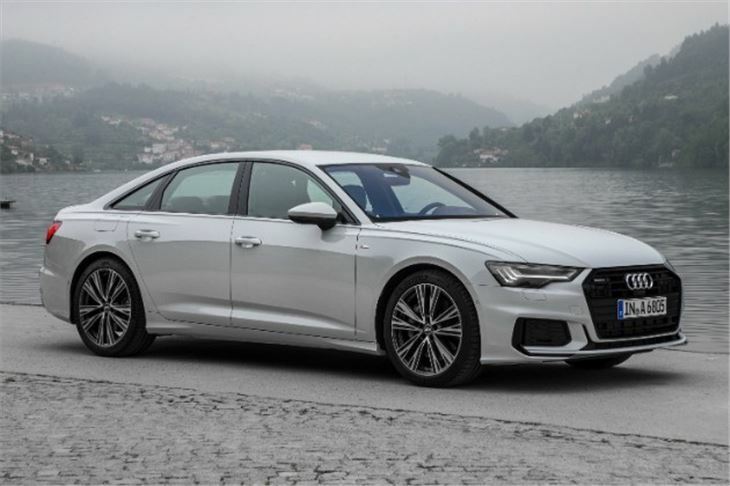 Not only is the 340PS six-cylinder engine a quiet, refined unit capable of taking the A6 to 62mph in 5.1 seconds, it’s also paired with a seven-speed S tronic automatic gearbox. This dual-clutch transmission (also used in the 2.0-litre diesel) reacts quickly, changing down with little fuss when you’re looking to accelerate and rarely finds itself in the wrong gear. The same can’t be said for the eight-speed tiptronic automatic gearbox used in the 3.0-litre TDI. You’ll find yourself reaching for the paddles behind the steering wheel should you wish to overtake or make progress. It’s a shame as, gearbox aside, the V6 diesel is a perfectly lovely, refined engine. All models come with some form of mild-hybrid technology. 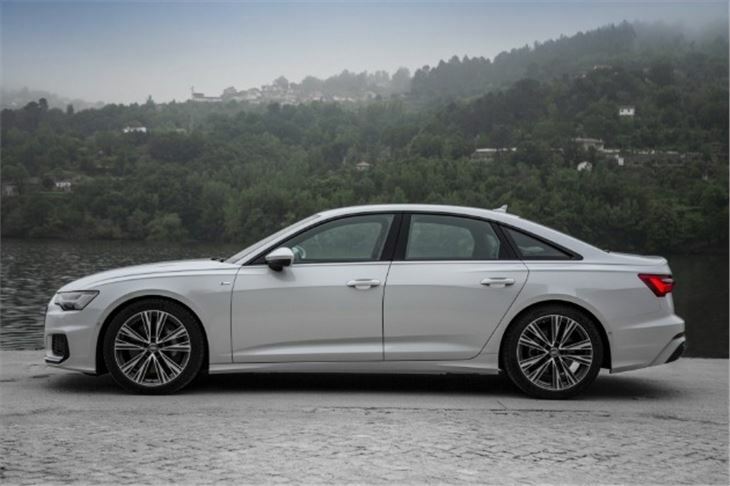 Although it’s not particularly noticeable, the A6’s engine will briefly turn off when you lift off the accelerator between 34 and 99mph, improving fuel economy, while the start-stop function kicks in at speeds of 13mph and below. What is noticeable is the optional four-wheel steering fitted to our test cars. At low speeds, the front and rear wheels turn in opposite directions, reducing the turning circle. At high speeds, they turn in the same direction to increase stability. It makes the A6 feel like a smaller, more agile car than you’d expect - although the steering isn’t as direct as that in a BMW 5 Series. Confusingly, there are no fewer than four different suspension options on the A6. Entry-level Sport gets conventional steel springs, while the S Line’s sport suspension reduces ride height by 10mm. The latter can be specified with either adaptive dampers or air suspension. All of the suspension setups are fine - the standard steel springs provide a comfortable ride, but that’s magnified by the air suspension. Even if you opt for larger wheels, the harsh ride quality associated with Audi models of yesteryear is gone, fortunately. The A6’s best feature is its interior. It’s been brought thoroughly up to date compared to the outgoing model, which was starting to feel past its best. 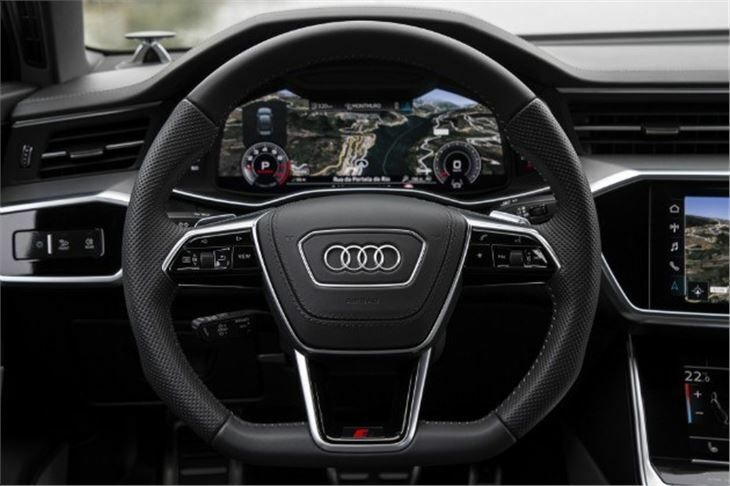 Everything is up to Audi’s usual standards - by which we mean the best in the business - and a two-screen infotainment system feels very modern, providing access to everything from the radio to the heated seats. While the system works well, it has the usual downside of these systems - they’re not as easy to use while driving as a conventional button or dial. Space wise, bigger dimensions compared to its predecessor means there’s plenty of it. 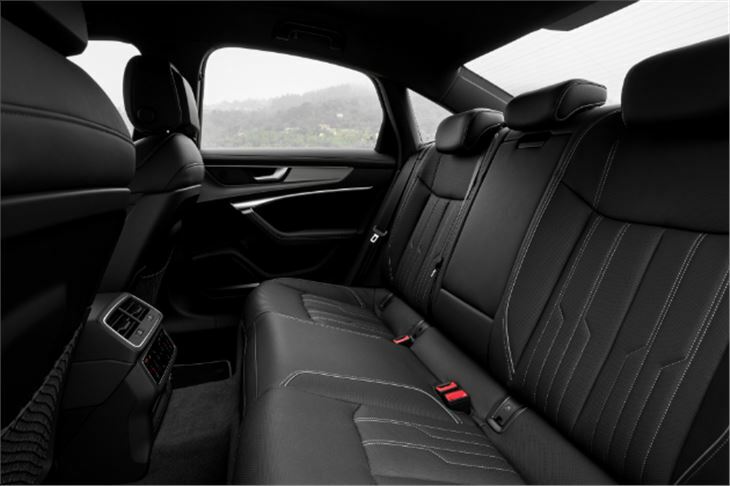 Rear passengers benefit the most, with a tall adult having plenty of head and legroom in the back. The boot’s on par with rivals and Audi has increased the opening to ease loading and unloading. So should you buy a new Audi A6 over the Mercedes-Benz E-Class, BMW 5 Series, Jaguar XF or Volvo S90? That’s a tough one, as the rivals are all very good in their own way. But so is the Audi. And its interior is better than competitors while the technology will appeal to the gadget enthusiast. The only disappointment is in the drive - it’s better than before, but enthusiastic drivers should continue to opt for the BMW 5 Series or Jaguar XF, but that’s no real surprise. While we’d like to recommend the 3.0-litre petrol, buyers wanting a sporty A6 will be better off waiting for the S6 and RS6 models to arrive in due course. And, of course, the 2.0-litre diesel will make more sense for the majority of people. Resist paying more for the V6 diesel, though - not only is it going to be expensive, the gearbox is frustrating and the car feels noticeably heavier than the four-cylinder diesel. 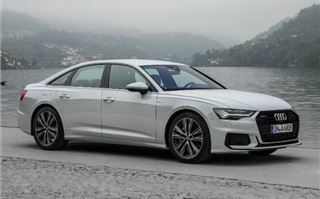 The 2018 Audi A6 will go on sale in the UK in June 2018.